The Lolo National Forest has a public meeting planned for Thursday, March 28th from 6 p.m. to 7:30 p.m. at the Visitor Center at the Nine Mile Ranger District office to discuss plans for the Soldier Butler project. Do you live or play up the Ninemile? Even if you don’t get up the Ninemile that often you probably care about what goes on in your neighborhood. The Ninemile Wildlife Workgroup is sending you this email so you can learn about the upcoming Soldier-Butler Forest Service project and provide your thoughts on how this area should be managed. Soldier-Butler is similar to and adjacent to the Frenchtown Face Ecosystem Restoration Project which was done to reduce fuels, enhance forest resilience, and enhance human safety. The new District Ranger, Eric Tomasik, and the planning team will be there to describe the project and answer your questions. The following information and attached document describes what the Forest Service is planning. 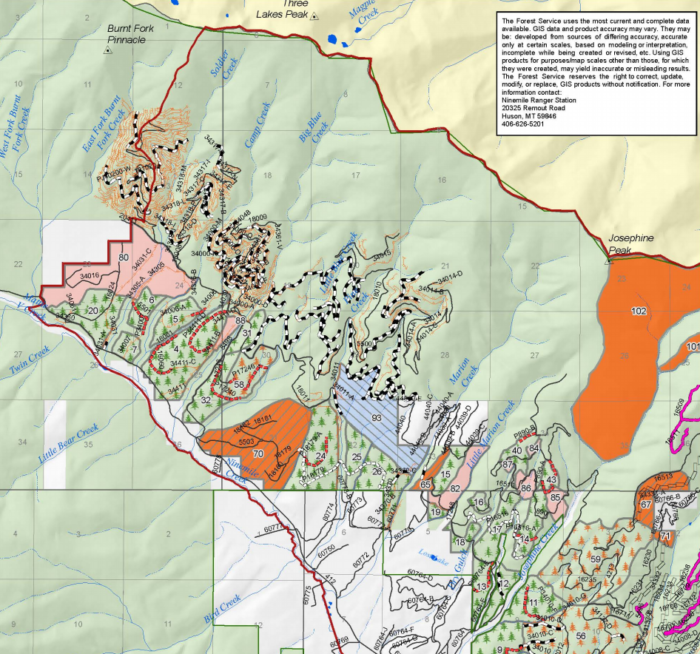 The Lolo National Forest has prepared the Soldier-Butler Environmental Assessment (EA) and is asking for your comments. The 45,160-acre analysis area is about seven miles northwest of Huson, MT and extends from the East Fork of Burnt Fork Creek southwest to Butler Creek and from the Ninemile Road #412 to the Reservation Divide. The purpose of this project is to reduce the potential for high severity wildfire on the National Forest adjacent to private property. Activities are proposed on National Forest System lands only, which consist of about 86 percent of the analysis area. More information and the EA can be found on our website (http://www.fs.usda.gov/projects/lolo/landmanagement/projects), which also includes electronic maps of the proposed treatments and associated transportation system for easier viewing. Our mission: We work to promote knowledge and stewardship of local wildlife and habitats within the communities and public lands of the Ninemile, Huson, and Alberton region. If you would like to UNSUBSCRIBE to this list, please reply to this email and write ‘unsubscribe’ in the subject or body of your reply.